The food was nice! They accomodated us properly. The very good ratings are for the unit itself and the assistance that they have given to us. My family liked the whole property, it was clean and comfortable. Though it was distant from the pool area we just enjoyed our way going to the pool roaming around Azure. Clean. You can immediately sleep and not worry about the room. Easy transaction of check in and check out. 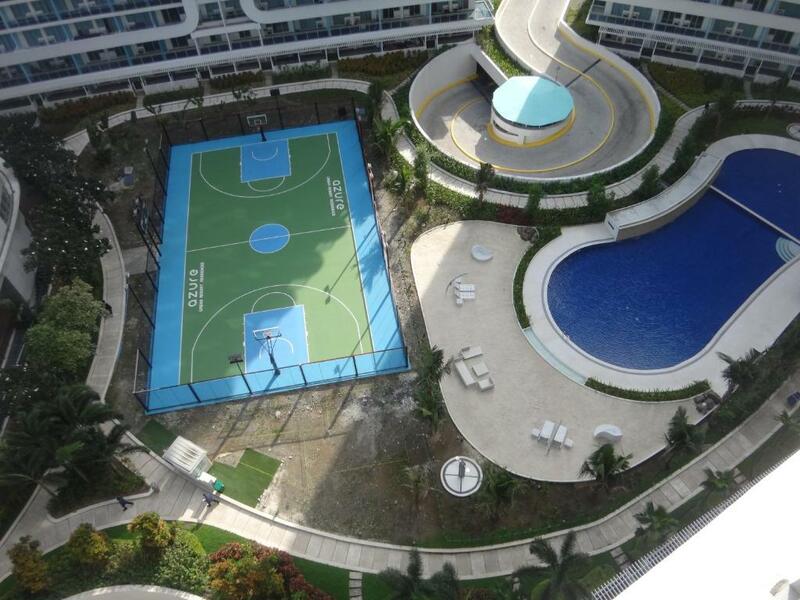 Good price if you're going to maximize the amenities usage like the beach pool and gym. Lock in a great price for Azure Resort by LC – rated 8.1 by recent guests! 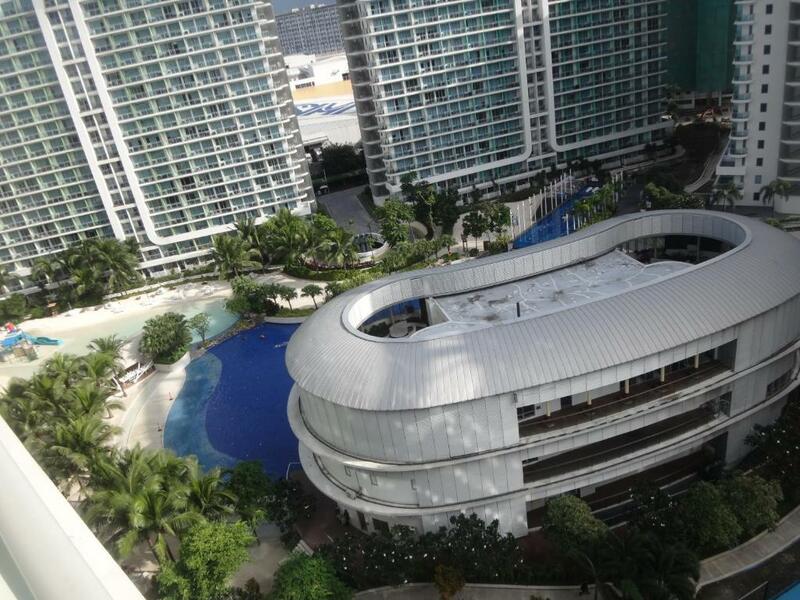 Azure Resort by LC This rating is a reflection of how the property compares to the industry standard when it comes to price, facilities and services available. It's based on a self-evaluation by the property. Use this rating to help choose your stay! 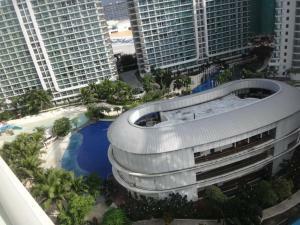 Located in Manila, Azure Resort by LC provides accommodations with free WiFi, pool views, and access to a fitness room. Accommodations are fitted with air conditioning and features a flat-screen TV, a fully equipped kitchen with a dining area, and a private bathroom with free toiletries. A microwave and fridge are also available, as well as an electric tea pot. An Asian breakfast is available daily at the apartment. Resorts World Manila is 4.4 miles from Azure Resort by LC, while Glorietta Mall is 5 miles from the property. Ninoy Aquino International Airport is 5 miles away. Paranaque is a great choice for travelers interested in budget-friendly traveling, city trips and friendly locals. When would you like to stay at Azure Resort by LC? Private parking is available on site (reservation is not needed) and costs PHP 300 per day. Hi, my name is Lyn. We live on site at Azure and have several condo units for rent here. We are the few hosts that actually live here at Azure, and that means you will get a level of personal service that you will not experience from any other host here. Most of the other Azure unit owners, delegate the rental of their units to brokers who do not have the same level of interest in their guests as we do as unit owners! 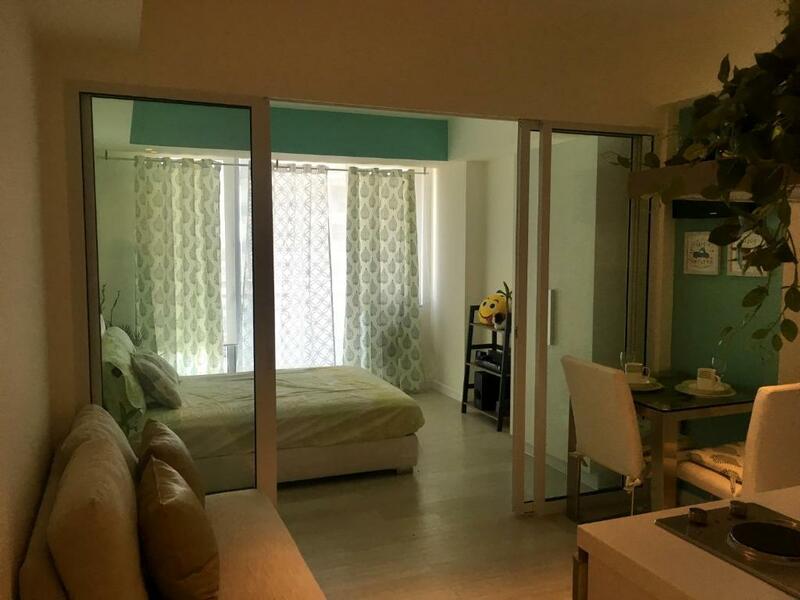 We keep all our properties just as if we lived there permanently ourselves so they are nicely furnished, clean and well maintained, and come with WiFi and Cable. We have full-time staff who help us look after all our rental units and our guests. You should have confidence that with all our very many positive reviews that we are very well experienced and professional in our approach. We aim to consistently deliver great customer service, with top quality accommodation at very fair pricing. Our aim is a delighted guest who keeps on coming back to stay with us, and who will tell all their friends how good it is here! AZURE is an exclusive residence. You need to abide by and respect the rules and understand that as your host I am responsible for your visit. You should budget in advance for the Pool Entrance fees for your group so there are no surprises upon pool registration. The pool entrance fees are described above and vary by group size so please ensure you understand the pool entrance fee structure before booking! PLEASE NOTE THAT CHILDREN ARE CHARGEABLE BOTH AT THE CONDO AND AT THE POOL, and the numbers and ages of the children should be included in your booking. House Rules Azure Resort by LC takes special requests – add in the next step! Please note that the wave pool is closed on Mondays for maintenance. Please inform Azure Resort by LC of your expected arrival time in advance. You can use the Special Requests box when booking, or contact the property directly using the contact details in your confirmation. My family got their passports taken upon check-in. Why? The pool was closed 2 of the 3 times we went. I payed for 6 family members and only 4 were able to swim. Unacceptable! Why is their a 500 Pesos cleaning fee when we had to clean everyday? Horrible! The view from the balcony was nice! Our kid is 10yo and the bed isn't enough for us three. We didn't use an extra matress for the reason that we need to pay additional 500pesos and that isn't a small amount. The kitchen countertop is a bit small as there is not much space when I am washing the dishes or preparing for food while cooking. When I booked for this unit, it was indicated that breakfast is included,on the first morning i needed to order breakfast for us 3 but i didn't ask on the next day. Upon checkout the owner wanted to deduct 300pesos for the breakfast saying they no lnger have free breakfast and i said that it was indicated in the booking ads and that's one reason why i chose their unit. Good thing she didn't insist to charge us for the breakfast. But they should coordinate with booking.com to remove that add-ons. what I really don't like is, that we need to the registration both every time we're going to swim. since our hotel was at the back we need to spend time just for walking. and there's no other thing that we can do instead of swimming, maybe next time kindly open the other amenities for the public. Just the unfinished project. It's not nice to look at... One elevator is not working... Nothing more. It was like Azure was over-rated. The television is not positioned in the bedroom. There is no view outside the balcony. No toiletries but we brought our own. It's good if there's extra available anytime. Will possibly book again.